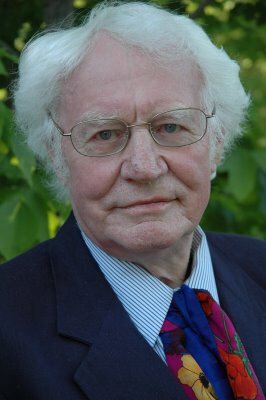 Preface: Eavan Boland ran Robert Bly's 10th and Last Poetry Workshop today since Bly left Stanford after his May 28th class for "The Great Mother Conference" in Maine. Only seven students showed up instead of 17 since the others are probably busy finishing their term papers and preparing for final exams this week. I did not take notes as usual when Bly reads from his favorite poets and tosses out advice gems to us to write better poetry. However, I realized that Eavan Boland discussed many important topics in class today, so I'm reconstructing below from memory what she told us. Eavan Boland: The Creative Writing Department is having a party later tonight. Toby [Tobias Wolff] has arranged everyone to bring a short story to read like Hemingway's "Six Words". It could be boring but we're going to have lots of fun. Q: What are the six words? Eavan: Hemingway's six words fiction story: "For Sale. Baby Shoes. Never Worn." it as his best work.] If any of you want to come and try your hand, you're welcome. Q: Have you been influenced by Bly's poetry? Eavan: No! I'm from Ireland. I admire what Bly has accomplished. Bly's Poetry Reading left me breathless as many others in the audience. Bly's Colloquium was also illuminating on the process of translation. However I don't buy into his importing of Sufi and Zen into the mainstream of American poetry. We have a tradition here of Hart Crane, William Carlos Williams and Elizabeth Bishop. He was much too harsh on them in his polemic essay "A Wrong Turning in American Poetry" (1963). He's correct on some points but wrong on the total picture. Bly favors the unconscious in poetry and feels that the Spanish and Latin American poets tap into that source more than American poets who are too intellectual. Bly is from the philosophical school of poetry with Sufi and Zen influence. I'm from the Line-Editing school emphasizing on craft and revision of one's manuscript. When I see a mistake in a poem, it's like a scorpion has invaded the text, and everything is ruined! Student: Bly read to the class a lot of Mirabai and the Sufi poets. I regard them as gurus for their spiritual wisdom. But their poems are not a play with language which I like in poetry. Eavan: What is a guru? Eavan: The English Department invited Bly for dinner with the Stegner Fellows and the Jones Lecturers. Bly talked about T.S. Eliot in a very affectionate way. He and Donald Hall both read Eliot avidly when they were at Harvard [1948-1950]. When Bly asked the Stegner Fellows about their readings of Eliot, few of them did so. I would say Eliot's chief failure was not recognizing the form in poetry. We usually assign a Stegner Fellow to cater to the Mohr Visiting Poet. Sometimes it could be quite intimidating for young poets at the beginning of their career to be with an accomplished senior poet. We assigned Michael McGriff to Bly this semester. Mike has recently translated Tomas Tranströmer's The Sorrow Gondola and showed them to Bly who is a good friend of Tranströmer and his most ardent translator. Mike told me about his experience saying "Bly would look at my work and say 'You did better than me on that one. But I did better in this one than you!' We had such a good time together!" Eavan: I went with Bly to Marin one Sunday [May 18, 2008, San Rafael] for a Poetry Reading [Jane Hirshfield was the third reader]. Bly wanted local Iranian musicians in Marin to play native instruments during our poetry reading. I was not interested in having music playing while reading my poems. Bly insisted on inviting Iranian musicians on stage. When we got there, it was total chaos. Some musicians came up to me and said "Are you the organizer? The mike is not working. You got to fix it!" I told him that I'm one of the poets doing the reading, not the technician to fix the mike." I saw the disaster unfolding right before me. But somehow Bly got everything in order. When he read the Hafez poems from his latest book, the Iranian musicians played along during his reading. Then they chanted the Hafez verses in Farsi and got the whole audience caught up with the fervor of music, poetry, and singing. It was an incredible and inspiring evening. The whole event was awesome and a total success. Only Bly could have pulled it off! Eavan: Bly loves to do poetry readings. He makes a living doing it. Then we have poets who don't like to be on stage and in the spotlight. We're going to have Brigit Pegeen Kelly coming to read at Stanford in the Lane Lecture Series. She's compulsively shy. At the Breadloaf Conference, she read two of her poems and then Wallace Stevens poems. I told her "If I wish to hear poems by Wallace Stevens, I could read his books. I want to hear your poems." She's a product-based poet. Bly is process-based. Brigitte won the Yale Series of Younger Poets Competition  with To the Place of Trumpets. She followed that with Song  and The Orchard . Terrific pieces of work. The Jones Lecturers here at Stanford have curtailed process poetry in favor of product poetry as they need to get their works published in their allotted time here. Eavan: What is the distance in writing poetry and being a poet? If someone tells me "I am a poet." I 'll believe them. I don't have to see their poems. Be the thing rather than write the thing. Bly is the thing. One needs to be persuasive in his belief. Not necessary to convert everyone to spirituality. I ran a community poetry workshop once. The writers mixed up similes with metaphors. One woman from Ireland wrote in her poem "limping spires" and I objected strongly to her words, saying "spires in a church are straight, they just don't limp. Get rid of that image." Another writer in the group defended her image: "I'm from her town. I know the church she's talking about one spire is shorter than the other and is limping!" Eavan: Dylan Thomas's "Fern Hill" [Analysis] breaks every rule in the book about poetry. [PYC: Curiosly, my freshman English teacher Kenneth Koch at Columbia Engineering made the class memorize this poem in 1959. It was the hardest assignment that semester, more so than any chemistry or physics problem set. Koch never told the class that he's a poet, and we were so lucky in having him teach us.] When I see an advance student poet make a mistake in their writing, it breaks my heart. Usually, it's a reflexive mistake. I'm ruthless and correct them on the spot. They should not be making those kind of errors at their stage of writing. Bly would say that the problem is not "limping spires" but that people are not imagining well enough in their poems. I don't buy Bly's idea of writing from the unconscious and letting dream images in without revision. You need craft and the only way to improve is to write the poem over and over again! Eavan: Robert Lowell's poem "The Drinker" ends with images of parking meter violations which conjures up man-made time juxtaposed with seasonal time. Q: What would you advise us as poets? Eavan: Read different poets. Elizabeth Bishop has a bright tone and a dark voice. Her poem "In the Waiting Room" is dark in tone. She's using vernacular to push her dark agenda. It's a radical poem. You must listen with an open mind to the left and right of the poetic spectrum. Eavan: Judith Wright [1915-2000] was an Australian poet, who became an environmentalist and campaigner for Aboriginal land rights. Her political poems were weaker than her earlier work. In her poem "Australian 1970" she made a crucial mistake in the third stanza. The words "suicide stain" was a blemish on her whole poem. cursing your captor through a raging eye. with fear like suicide's invading stain. mindless and faithful to your million years. even while you die of us. Eavan Boland asked the students why did they enroll in Bly's class, what did they learn from him, and had us read our poems written this semester. Students told Eavan that Bly would spend the first hour reading poems to us from poets he translated (Kabir, Mirabai, Hafez) as well as his own. Then he would give us a 15-20 minutes writing exercise based on the form he read to us. We did exercises on prose poems (writing about an object), ramage (8-lines verse focusing on a vowel or consonant), ghazal (6 stanzas of 36 syllables with different themes in each stanza; ending each stanza with the same word if we could do it). Sometimes Bly would give us the first line from a poem from Kabir and Mirabai, and we would take off from there in the class exercise. One student said Bly called us "Loonies, I'll miss you" in the last class, "But he said it in such an affectionate way. He really cared for us all." Another said "During the break in our first class, Bly told us to go outdoors and write some haikus like Basho and Issa. We were looking out to the Quad's Oval, then we noticed Bly was out there too. He had his head white hair and all staring into the grass. We thought he looked like an ostrich! It was such a privilege to have such a famous poet with us this semester." One girl mentioned that she doesn't usually read spiritual poetry so it was great that Bly shared with the class some of the mystical poets like Kabir and Mirabai. Another student said he enrolled in the class because he enjoyed Bly's translations of poets like Rilke, Hauge, and Machado in The Winged Energy of Delight (2004).